FINANCIAL Secretary (財政司司長) Paul Chan Mo-po (陳茂波) refused to hand out cash to all and sundry in his budget– but he announced substantial investment in information technology as well as boosts to healthcare and education funding. In education, a one-off grant of HK$2,000 will be given to each needy student to support learning. 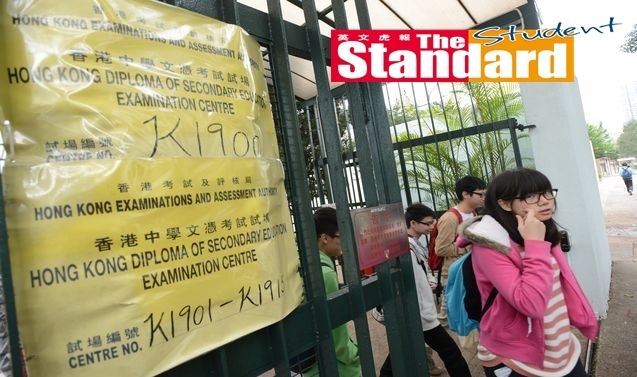 The government will also pay the examination fees for candidates sitting the 2019 Hong Kong Diploma of Secondary Education Examination (香港中學文憑考試). The financial chief said the government will spend about HK$740 million on the one- off student grants, while the expenditure on the examination fees will amount to HK$180 million. It is expected that about 371,000 grassroots students will benefit from the one-off grant. Government sources said eligible students will have passed a means test, or are receiving full or half-level financial assistance from the Student Finance Office (學生資助處) or whose family is under Comprehensive Social Security Assistance (綜合社會保障援助). Postsecondary students who are getting a tuition fee grant, academic expenses grant and living expenses loan can also get the one-off grant. Recurrent expenditure on education will be further increased by HK$2 billion. That was after Chief Executive (行政長官) Carrie Lam Cheng Yuet-ngor (林鄭月娥) pledged to increase recurrent expenditure on new education resources by HK$5 billion, of which HK$3.6 billion has been approved by the Legislative Council (立法會). “I propose to commit an additional recurrent expenditure of HK$2 billion to achieve quality education,” Chan said. “The initiatives to be launched include enhancing the professional development of teachers, strengthening support for kindergartens, reviewing and improving integrated education and supporting schools in enhancing promotion of life-wide learning,” he said. All primary schools will eventually have one social worker in the wake of the tragic death of a five-year-old kindergarten student, Chan Sui-lam (陳瑞臨), from suspected parental abuse, followed by several other child abuse cases. Chan said public primary schools will receive more resources from this school year to improve social work and counselling services, and to achieve the target of one school social worker for each school. For kindergarten students, Chan said he will allocate HK$504 million from the Lotteries Fund (獎券基金) to offer social work services for about 150,000 children in kindergartens and childcare centres through a three-year pilot scheme. Education sector lawmaker Ip Kin-yuen (葉建源) was disappointed as the budget did notrespond to core demands, while the education recurrent expenditure accounted for only 20.8 percent of government total recurrent expenditure, the lowest since 1997.